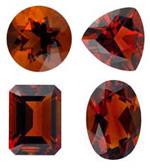 We carry a full selection of exceptional quality reddish orange citrines from the Demetrio mine in Brazil as well as the golden yellow citrine and the lovely dark brownish orange variety called Madeira citrine types. We carry ten different shapes of the golden yellow variety of citrine and six different shapes of the Madeira citrine. AfricaGems prides itself with selling better quality of loose citrine gemstones than can be commonly found online or in jewelry store. Our citrine gemstones are directly sourced from the localities that consistently produce the best quality citrine gems. 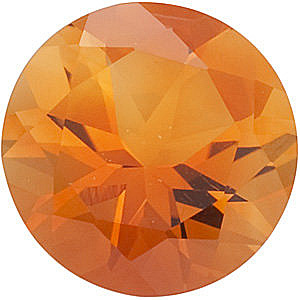 Our citrine is faceted for brilliance and not for weight. That way your citrine gemstone will display full brilliance and sparkle for that perfect looking citrine ring. Not only is Citrine a member of the quartz family of gemstones, but it is also the birthstone for the month of November. Citrine has been commonly confused with golden topaz but it shares no common physical properties except a similar color. 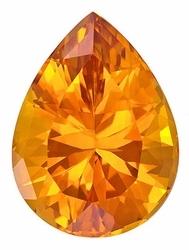 The color of citrine can range from a lemon yellow to a dark brownish reddish orange. Citrine is almost always heat treated. 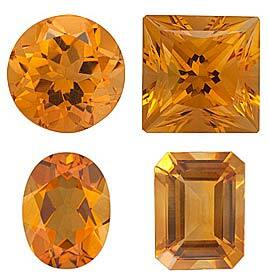 The citrine color can be produced from heat treating amethyst or Smokey quartz. It is a very popular gemstone owing to its yellow color which is not easily found in the gemstone world with the exception of expensive yellow sapphire and diamond.